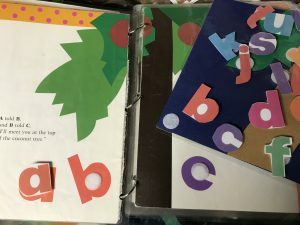 A popular book in preschool and kindergarten classrooms is Chicka Chicka Boom Boom by Bill Martin Jr and John Archambault. It is a silly story about the lower case letters all climbing up a coconut tree. Of course, when all 26 letters get to the top of the tree there is not enough room and they all fall out (Boom!) and the uppercase letters come to help them up. 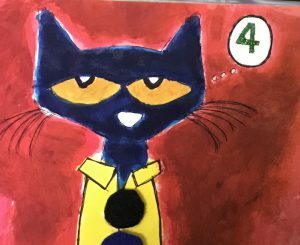 It is a cute, rhythmic way to get familiar with the letters of the alphabet, and seemed like a book that Joey would enjoy. 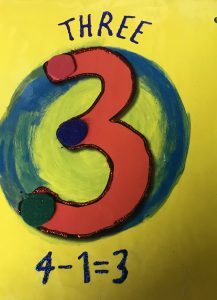 I am three years old! I am three years old. I am three years old. I am three years old. There is a button on Joey’s AAC device that he can select and it will give us that phrase. I am three years old. When Joey finds this button, he hits it over and over again. 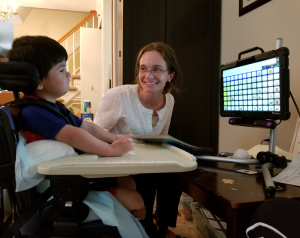 Since Joey loves books, it was only natural that we’d want to use books and interactive read alouds to help him learn to use his Augmented Alternative Communication (AAC) device. Joey began using the device in December, and we initially struggled to find ways to motivate him to use it since prior to using the device he had developed a way to communicate that was working out pretty well for him. 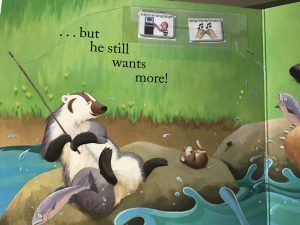 One way we were able to model how to use the system, encourage him to use it, and introduce new core words was through his interactive read alouds .